If there is something that Japanese are known for, it's their advanced and high technology. From fancy vending machines, sophisticated toilets to efficient transport systems, Japanese are experts in this field. There are plenty of ways to travel within Japan but there seems to be a Pass which is famous among foreign tourist which is the Japan Rail Pass or the JR Pass. This article will talk all about the JR Pass if it's worth it or suitable to your travel in Japan. 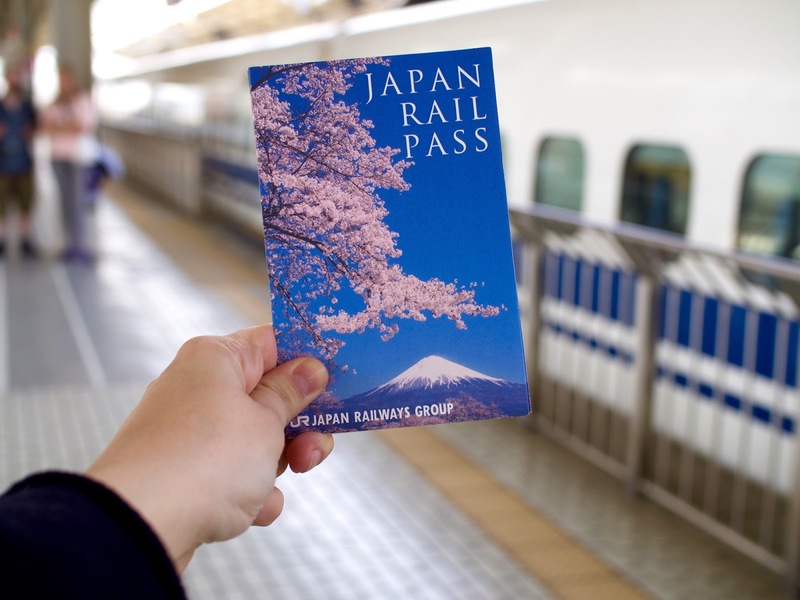 What is a Japan Rail Pass (JR PASS)? The Japan Rail Pass (also commonly called JR Pass) is a very cost effective rail pass for long distance train travel in Japan. It can be used by foreign tourists only and offers unlimited use of JR trains for one, two or three weeks at a minimal cost. Described by Lonely Planet as ‘one of the world’s greatest travel bargains’ that residents of Japan can only dream of. How to Purchase a JR PASS? The JR pass can only be purchase and use by tourist. It has to be purchased before arriving in Japan. This can be purchased through several accredited travel agencies within your country(For Philippines: Discovery Tours is one) or you can order them online(such as Inside Japan) and have it delivered to your doorstep. Upon purchasing, The agency will send a voucher for you to exchange for the actual pass at one of the JR ticket offices when you arrive in Japan(See here for the list). To redeem the pass you must bring along your passport as proof that you have entered the country on a ‘temporary visitor’ visa, or prove that you are a Japanese national whose permanent residence is now outside of Japan and the voucher itself. Please note that the voucher is non-transferable upon purchase.There are no date restrictions on the voucher and you do not need to start using the pass from the date you exchange your voucher; you can select any date within a one month period as your starting date. However, once you’ve been issued with your printed pass, the starting date cannot be changed, so make sure you’ve selected the right date beforehand. In order to use this pass, you need to bypass the electronic ticket gates and proceed to the lane where there is a manned ticket office and show them your pass. Make sure to bring your passport during this time as there are cases that they will inspect your pass if it is registered to you. The JR pass is valid through six companies comprising the Japan Railways Group (JR Group). You can enjoy unlimited Railway, Bus and even ferry for as long as it is within the JR Group. For the entire list of Railway, Buses, and Ferry valid for JR Pass check here. For more detailed info, Please visit the Japan Rail Pass here. Does getting a JR PASS worth it? With all the information above, the question is, Is the pass worth it? For me, it really boils down to your planned Itinerary and how well you organized it. In order to get a better picture of what I am talking about let's take a few examples. Take note: Prices indicated in the example below are estimates. For every example below, The column JR COST - is an estimated cost of transport by buying the ticket individually and comparing the total cost on this column to the price of the 7 days JR PASS. For the cheaper options column are the mixed mode of transport in which it will list the possible cheaper option for the same route. Person X is spending 7 days in Japan, arriving and departing in Tokyo. Person X wants to visit Tokyo & surrounding areas. Person X is staying at Asakusa Area and wants to explore areas within Tokyo(Shibuya, Shinjuku, Akihabara, Ginza, Odaiba, Roppongi) and will go for a day trip to Mount Fuji and Disneyland. If a 7 day JR pass is used which cost around ¥29,000+ on the above itinerary, it is not worth it as the price of purchasing the tickets individually is cheaper than the pass itself. Surprisingly by taking other options, you can see that there is a huge difference between the two options. Person Y is spending 7 days in Japan, arriving and departing in Tokyo. Person Y wants to visit Tokyo & other cities such as Osaka, Kyoto, and Nara. If a 7 day JR pass is used which cost around ¥29,000+ on the above itinerary, then you may save a lot by using it but surprisingly by taking other options, you can see that there is a huge difference between the two options. Person Z is spending 7 days in Japan, arriving in Osaka and departing in Tokyo. Person Z wants to visit Tokyo & other cities such as Osaka, Kyoto, and Nara. Out of this following examples, we can say that there is a huge different within the options presented and that itinerary had huge role on your spending. You are a budget traveler and want to save by going through other cheaper options. You will not be traveling longer distance travel more often and will not be using JR lines. You are focusing on bigger cities which have their own local unlimited transportation pass. You are fine not traveling in comfort and if you are OK with traveling at a slow pace. If all the items above doesn't describe your trip behavior or flow, then you are better off with having the JR PASS. In my opinion, for a backpacker and budget traveler like me who always finds a cheaper option to anything, I would personally discourage budget travelers to get the JR Pass as you clearly see a huge difference between the prices and it is quite expensive and not worth it. In order to save a lot, make use of the buses as it is one of the cheaper options out there.The overnight bus between Tokyo and Osaka are very cheap and thus saving a night of accommodation, the cheapest I saw was around ¥2000 one way. Also, make use of the unlimited transportation in every city like the unlimited bus ride in Kyoto for ¥500 which will take you to almost all of the attractions in the city, a one-way bus fare in Kyoto cost around ¥210. While in Tokyo, the Tokyo Metro unlimited subway pass which allows you to take unlimited subway ride within Tokyo but only limited to Tokyo Metro and Subways (excluding JR lines) which cost depending on how many days you want it, a day will cost for ¥800, 2 for ¥1,200 and 3 for ¥1,500, the one way railway trip within Tokyo will cost you around ¥160 depending your destination. There are plenty of customized pass valid for specific city or region, you just need to check which one is appropriate for you depending on your planned trip. At the end of the day, as long as we are enjoying our trip by any means is still our utmost goal while traveling. As a saying goes "It's not about the destination, but the journey that matters most". Have you tried the JR PASS? Share your stories and experiences below. Good that you see this post of value! Cheers mate! Replying from New Zealand!